This piece is based by the Kiva Step design, It includes fans of feathers and the clouds above. 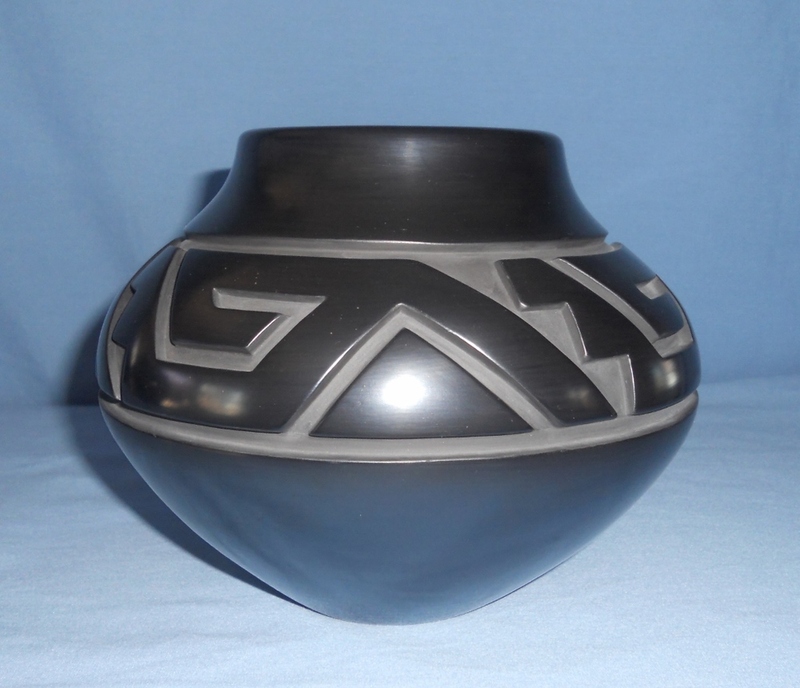 Red Water Jar with deep carved Kiva Steps, Mountain and Walking Bear Paw Designs. Etched designs are Feathers with Kiva Steps, light through the Walking Bear Paw and Prayer Sticks on the Mountains. 16" H X 9-5/8" Dia. 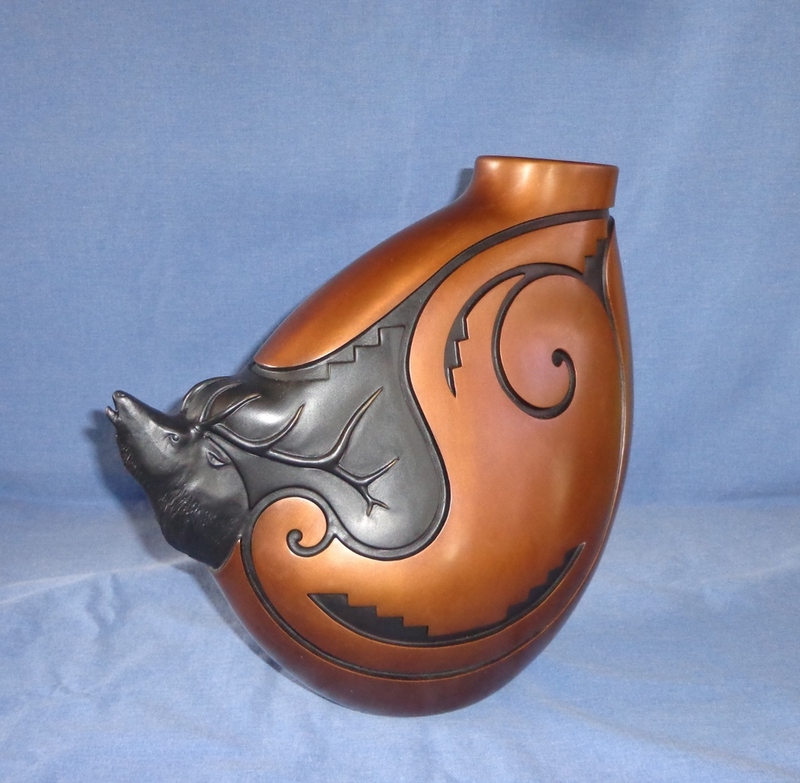 Brown Eagle Jar with deep carved Mountain Peaks, Walking Bear Paw and Feather Designs. Etched Designs include Clouds, Lightning. Stars, Mountain Stream, Kiva Steps, Water and the Moon. 14-3/4" H X 8-5/8" Dia. 5-3/8" H X 6-1/2" in Dia. 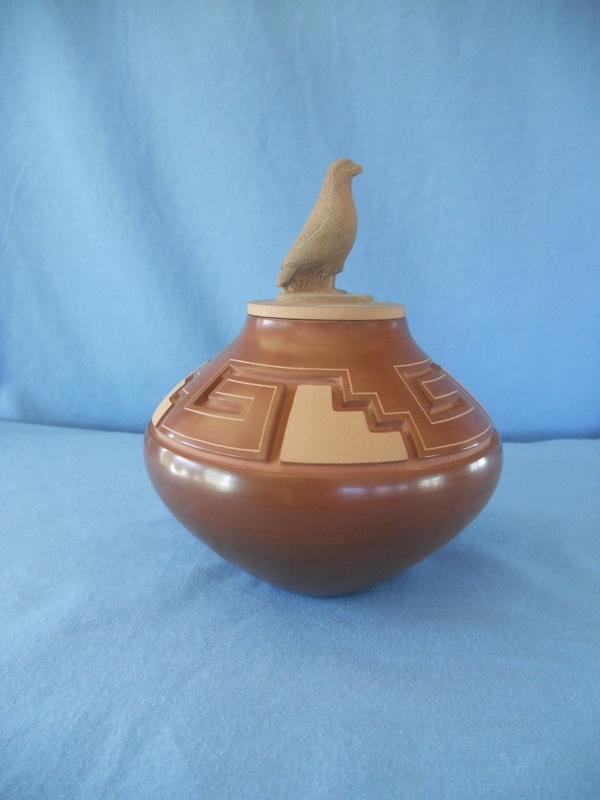 Red Eagle lidded Jar with Walking Bear Paw and Kiva Step designs.